Here's a 'COOL' gift to give! Original idea came from Family Bites. Click here for source. 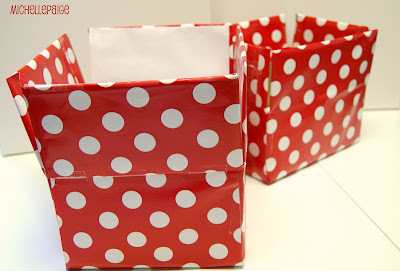 I wrapped each box with bright red polka dot paper. so, I had to use quite a bit of paper and tape to cover the entire thing--inside and out. Bigger ziplocs and cellophane bags were used to hold the other goodies. 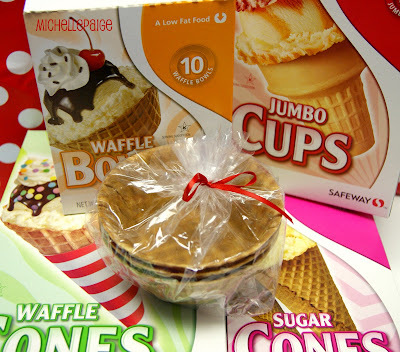 I bought lots of different cones on sale at my local grocery store and packaged them up. we placed a $10. Baskin Robbins gift certificate on top. 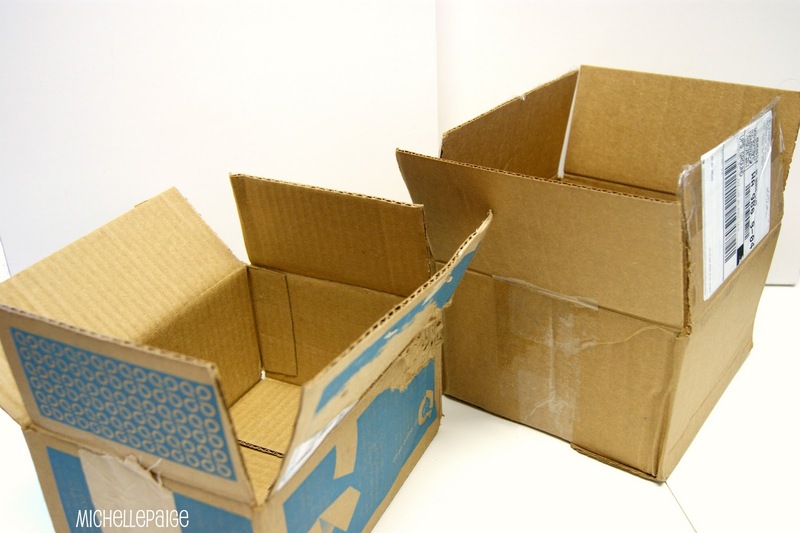 I punched a hole in the top flaps of the box and threaded ribbon through. A double knot held it secure. 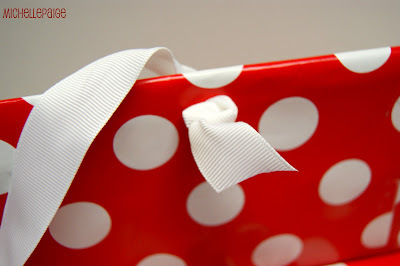 I tied the ribbon into a bow and added a tag. And here's one for my son's 4th grade teacher. Don't you just love a gift that can be enjoyed by the entire family? 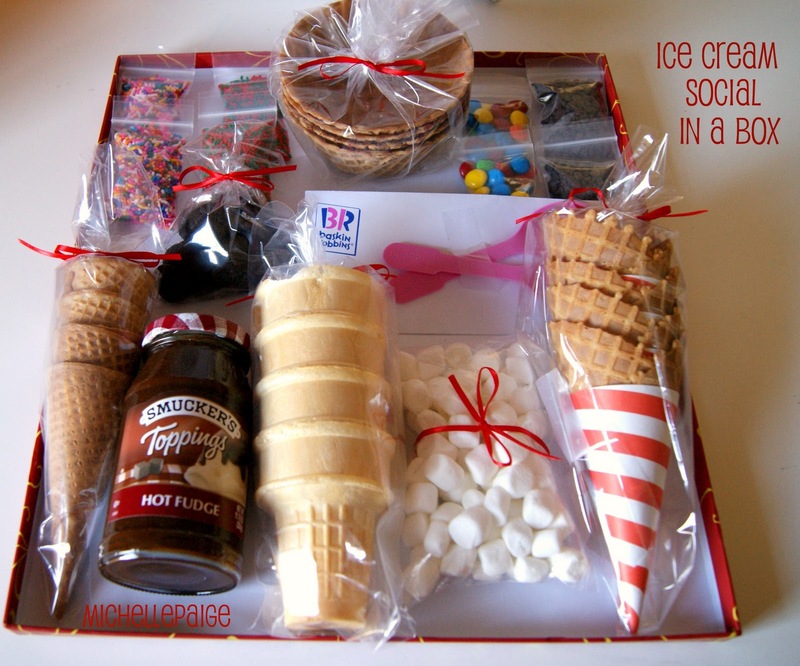 Hope you find time for an ice cream social this Christmas! Michelle, you sure do have some great ideas!! I love it! This is so cute! :-) Thanks for stopping by my blog today and leaving a comment! Dang it! I was going to copy this and give it to Scott & Laura! I'm so glad that you like the idea. Thanks for letting me know you wrote about it! I love your site! Thank you for sharing your wonderful ideas! What a cute present for a teacher! That is so creative! This is a spectacular idea. I wish we had 31 flavors by us still! 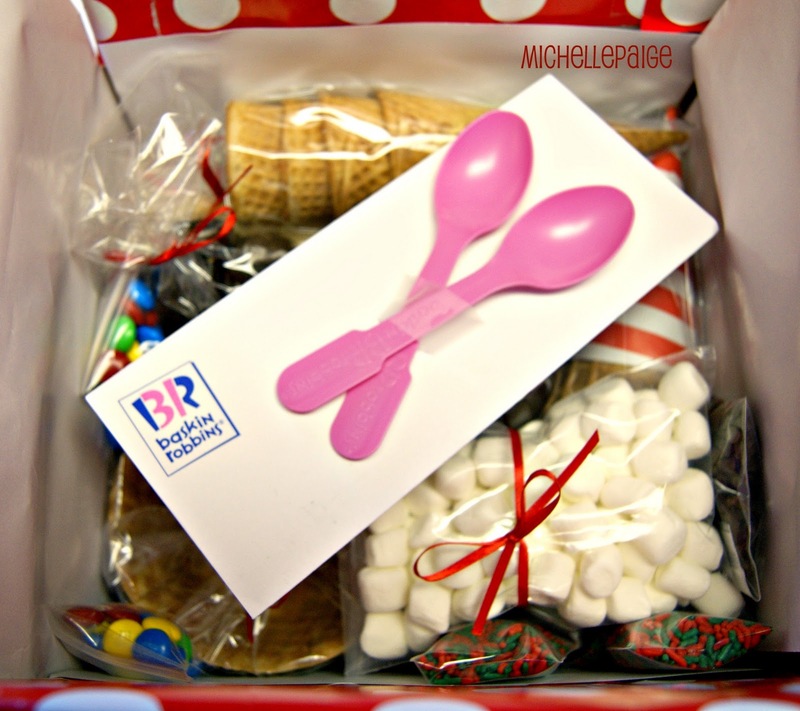 The little sample spoons are making my mouth water! This is such a cute idea! I bet my neighbors with children would love something like this as a gift! thanks for sharing!! Hi, I love this idea! It's right up my crafty alley. I'm going to start following your blog, and look forward to your upcoming ideas. Come on over to my blog and see what teacher gifts I've created. Such a cute idea! We would love you to share this at Sixsistersstuff.com on Saturday for our Strut Your Stuff Link Party. Hope to see you there! What a FUN gift to receive! You are sweet to think of posting this idea for all of us! Thanks!!! This is such a cute idea! 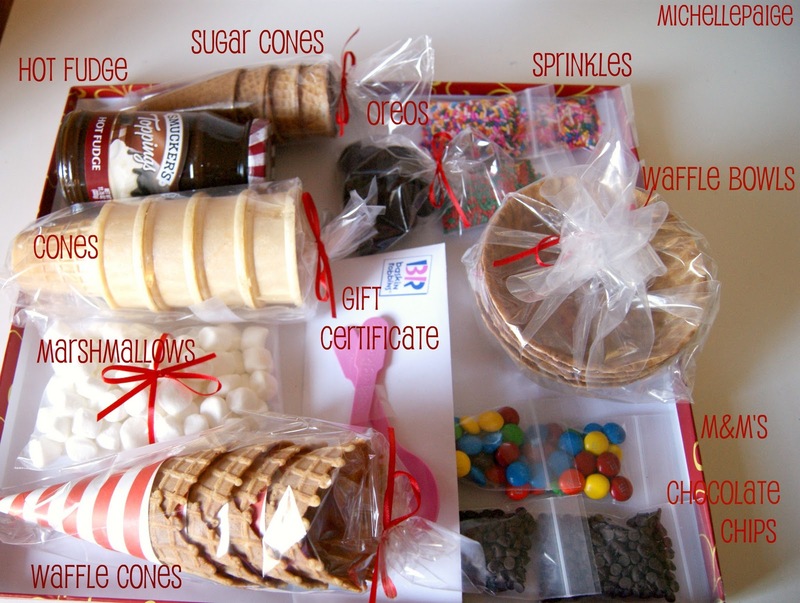 I love the way you wrapped up the box...and the not for the Sunday School teacher is adorable! Stopping by from Serenity Now. 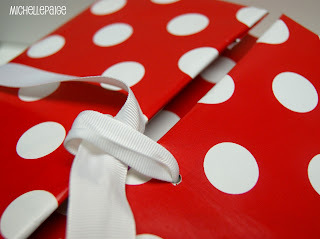 Fantastic gift idea and beautifully packaged! 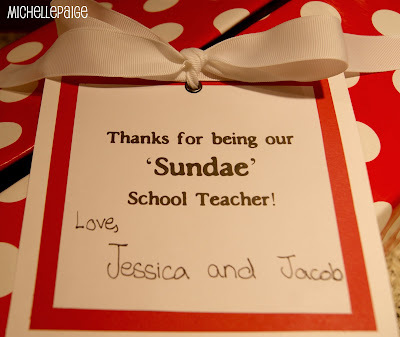 That is so cute; what teacher (or anyone) wouldn't love getting this for a gift! Merry Christmas! Great idea Michelle! 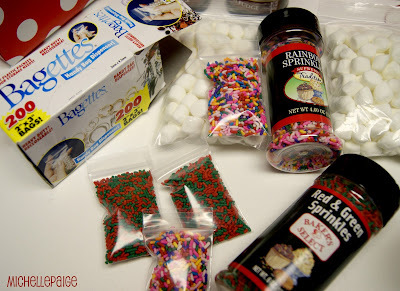 Anyone would love this:) Thanks for linking up to Friday Frolic! What a great gift idea. Will have to use it next year. Hey Michelle. I looked on your blog your collection was boom. I appreciate your ideas. but,dear i m searching for some ideas about Send gifts to Pakistan can your help me about it.